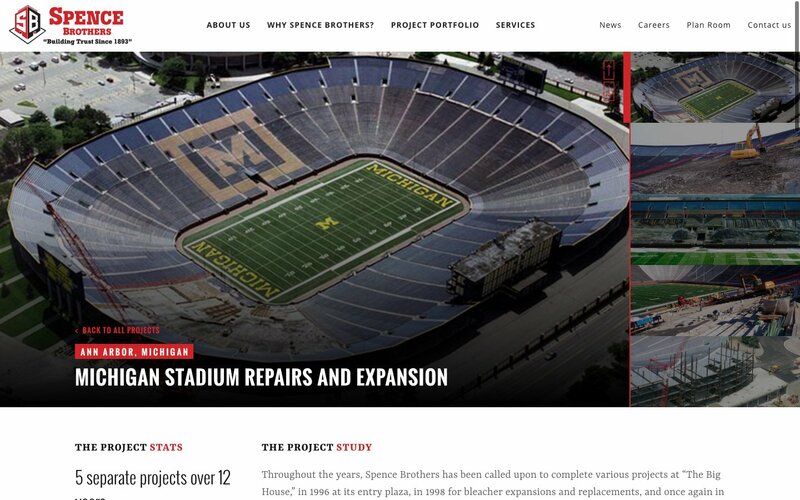 Spence Brothers (spencebrothers.com), is a family owned, Michigan based commercial construction company. 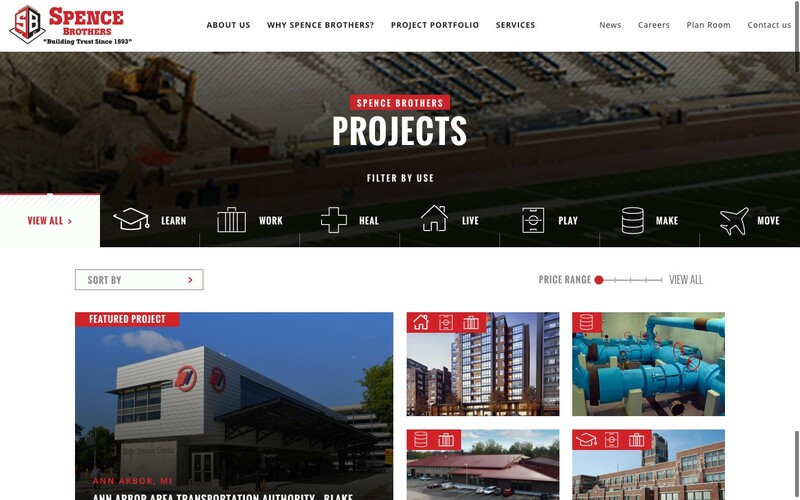 Spence Brothers has built and managed large and small projects all over the State of Michigan. 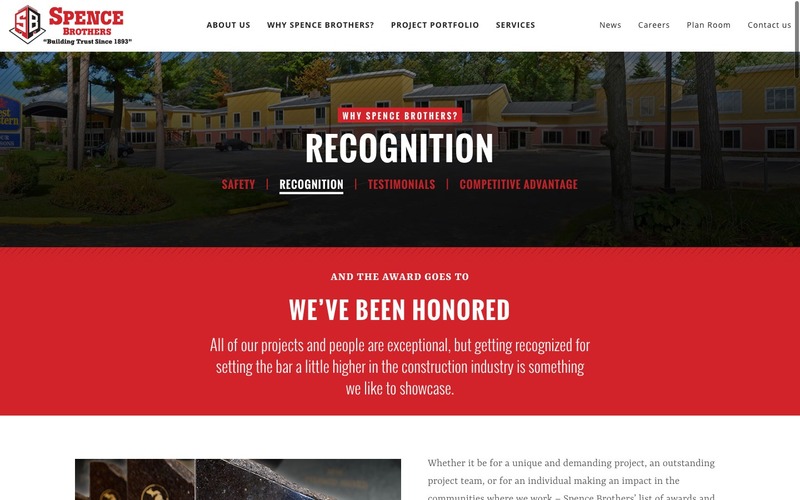 Spence Brothers were well overdue to for a new Commercial Construction Website and reached out to Formcode to design and build a contemporary, responsive website that more closely aligns with their business culture. Working alongside our client, Kevin, we were able to push the design to provide the user with powerful visuals and copy that really describes their impressive project portfolio. 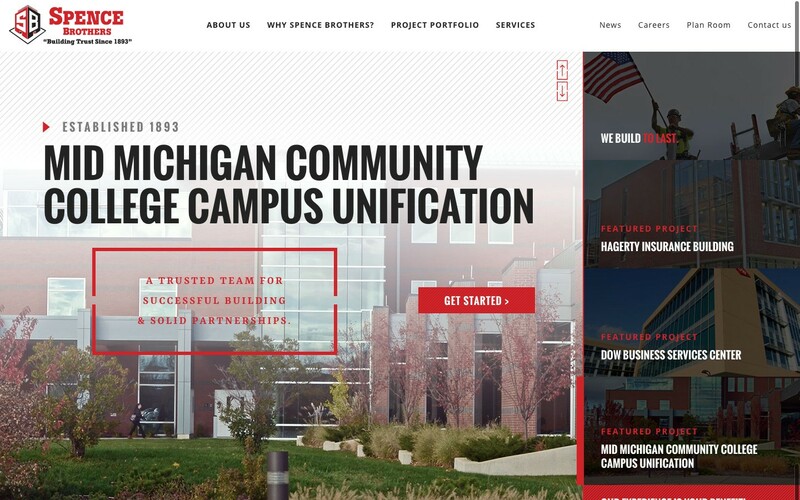 As the user navigates through the site, they are greeted with a ton of information about the company, projects they’ve been involved with, and the excellent company culture. The Project Portfolio section was built to allow the user to filter projects in several ways, by price, use, and features. Nearly every page has a way for the user to contact a member of the team by strategically placed calls to action. The structure and content of the site were carefully laid out for an optimal and enjoyable user experience.